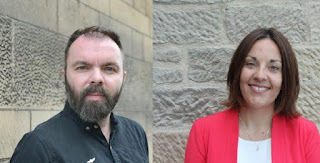 Sheriff McGowan's decision, allowing a proof before answer in the defamation action raised by Stuart Campbell, author of the high profile political website Wings Over Scotland, against Kezia Dugdale, former leader of the Labour Party in Scotland, in which we act for the pursuer, is now published on the Scottish Courts and Tribunals website. It sets out in detail the Sheriff's view of the issues arising and the reasons for his decision to refuse the defender's application to dismiss the case without hearing any evidence. The action will now proceed to a hearing of the evidence, probably some time next year. *Update 17 September 2018: Ms. Dugdale's solicitors have lodged an appeal against Sheriff McGowan's decision, which will now proceed through the Sheriff Appeal Court. *Further update 7 November 2018: Ms. Dugdale has now withdrawn her appeal and the case is expected to proceed to a hearing of the evidence in the early part of 2019.